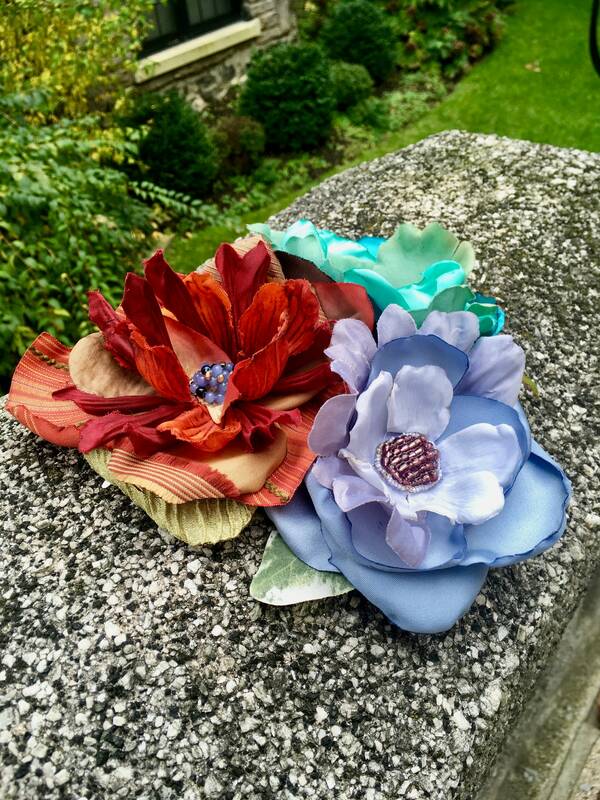 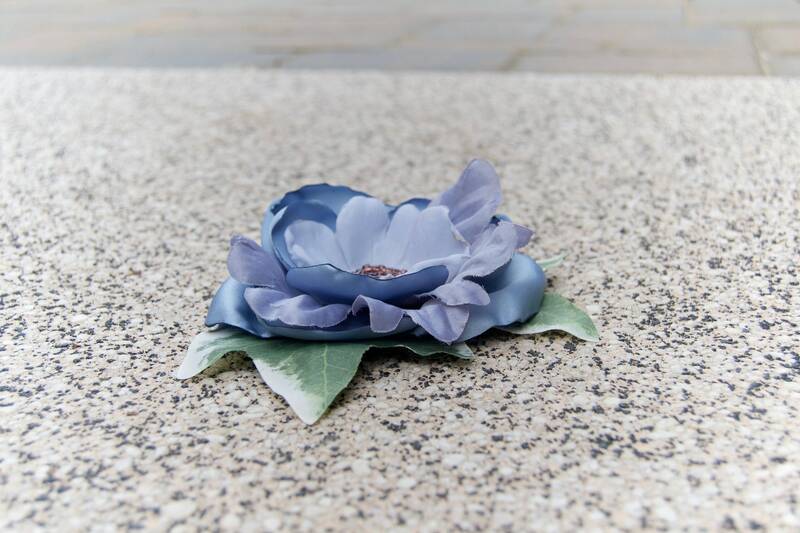 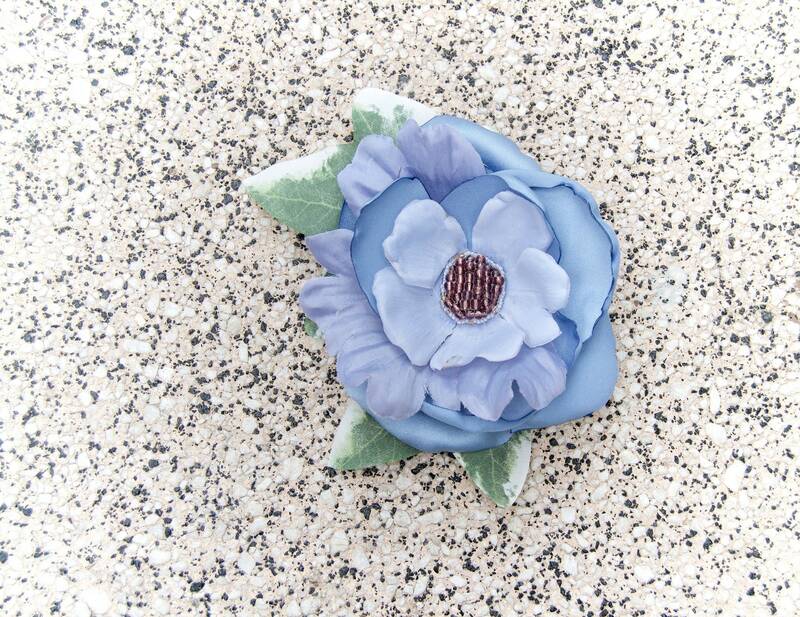 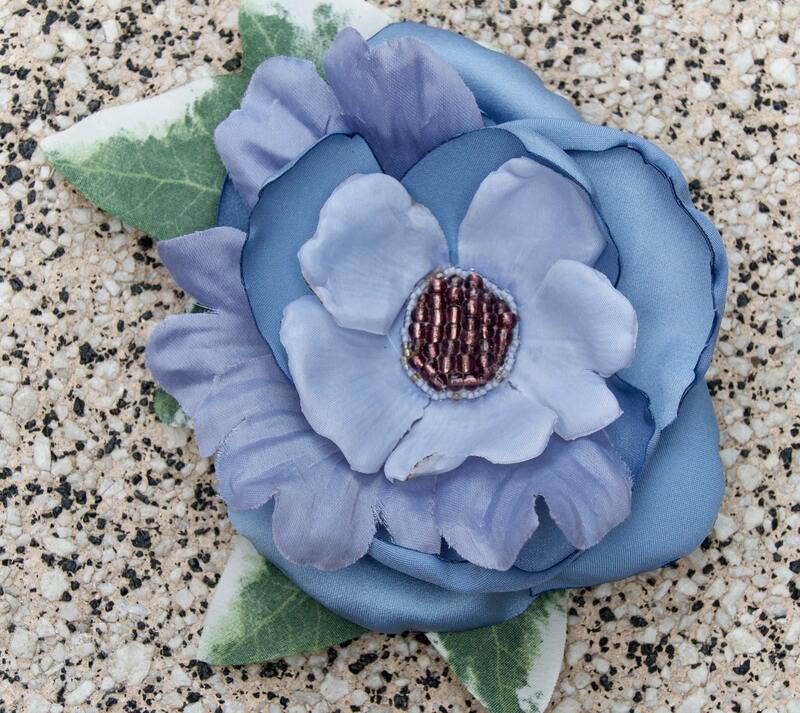 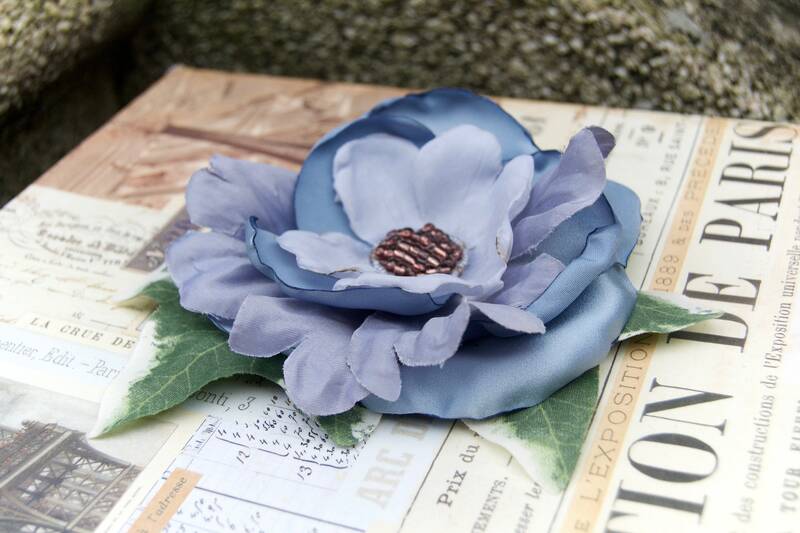 Some of the petals in this periwinkle blue blossom were created from the leftover scraps of an altered prom dress. 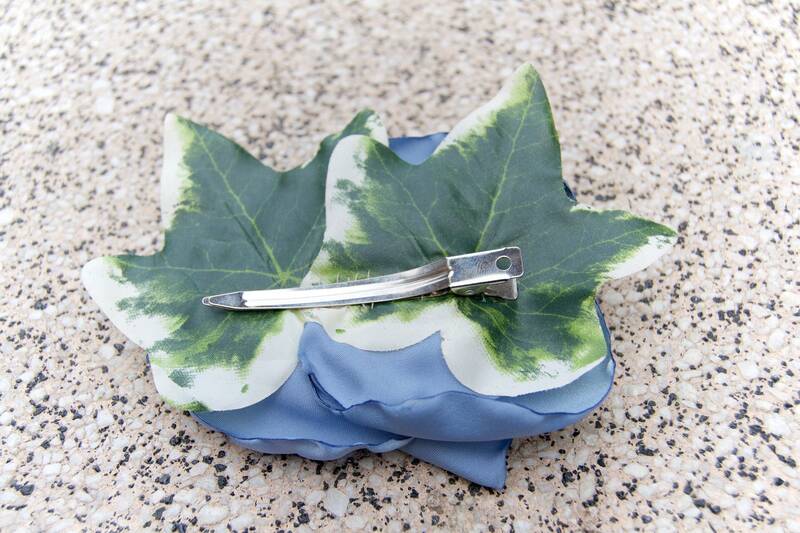 It is dense, high quality polyester with a smooth, satin finish..... 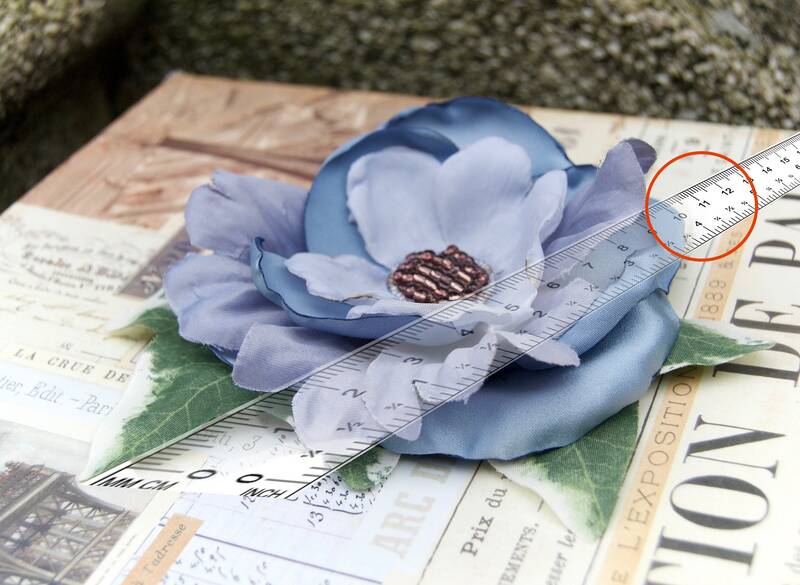 I simply couldn't just let it be tossed out, right? 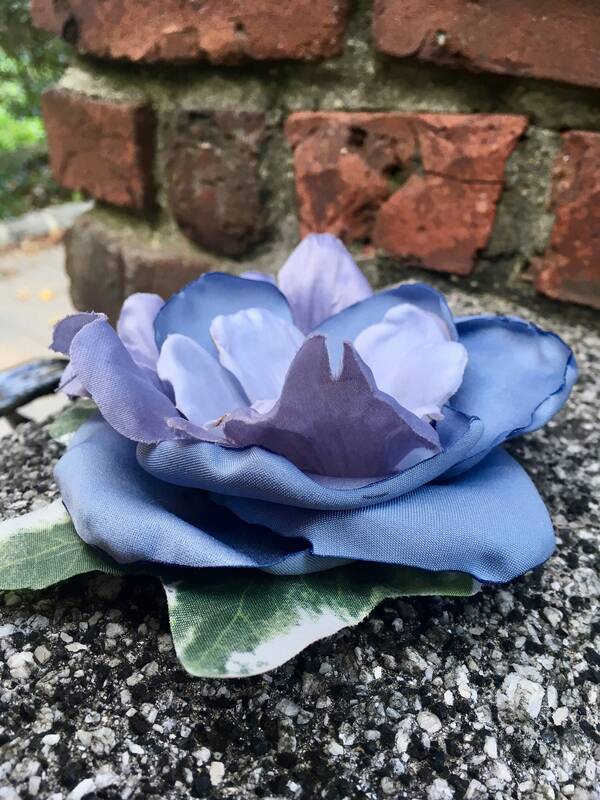 I combined these luxurious petals with other shades and fabric textures for this piece to not only ad dimension and depth to the design, but also make it a breeze when pairing with any outfit.